Ray Sharpe graduated from the University of SC with a Bachelor of Arts degree in Political Science. Following his graduation, Ray worked in public service for SC state government for almost thirty years. 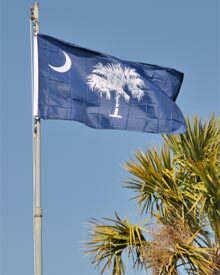 This service included serving as a Senior Rate Analyst at the SC Public Service Commission, SILVERxCARD Manager at the SC Budget & Control Board under Governor Jim Hodges, and the Governmental Affairs Director at SC Educational Television Network. During his tenure at the PSC, Ray was awarded Employee of the Year and was named an Outstanding Young Man of America. He served on the NARUC Committees on Water Technology and the NARUC Electric Committee. As manager of the SC SILVERxCARD program, Ray worked under the direction of the Hodges Administration where this program paid millions of dollars in prescription claims in its first year alone. SILVERxCARD became a blueprint for senior prescription drug programs all across America. For four years, Ray served the SC Educational Television Network as it’s Governmental Affairs Director where he implemented the SC Channel’s This Week in the Senate hosted by SC Senate President Pro Tempore Glenn McConnell and This Week in the House hosted by SC House Speaker Bobby Harrell. Additionally, Ray managed ten ETV Community Advisory Boards and appeared regularly as an on-air fundraising host. In 2008, Ray retired from state service and was named Executive Director of the SC Cable Television Association. Ray currently serves as Chairman of the Board of Trustees on the Lexington County Library Board, Board of Directors, the SC State Library Foundation Board, ETV Midlands Community Advisory Board, AARP’s Executive Council, the SC Senior Resources Board, and served on the 2009 Furman University Midlands Diversity Board.